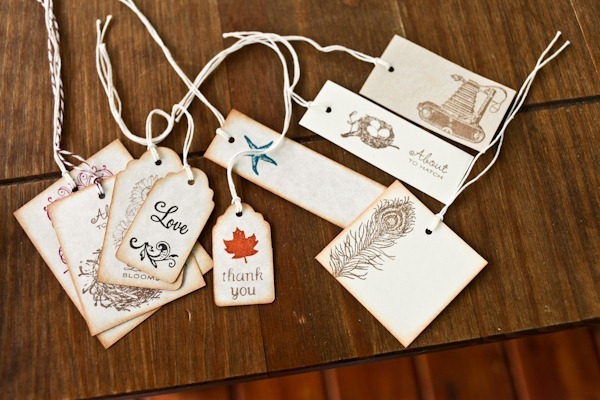 Long-time KERF reader Kayla works for Lazy Day Cottage, an Etsy shop that specializes in gorgeous handmade, hand-stamped vintage tags in addition to cupcake toppers, wish tags, buffet labels, placecards, and more. Kayla sent me a selection of tags to use in my holiday gifting this year. I couldn’t be more impressed with the assortment! The vintage-y look is totally up my alley, and all of the designs are precious – some of my favorites! Larbs, these would be cute for your beach wedding! 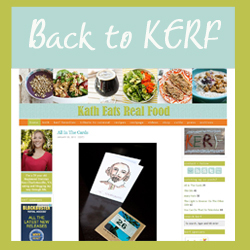 Have happy holidays with 20% off any order through the end of the year with the coupon code BERF20! And two lucky winners will win $50 to spend in the Lazy Day Cottage shop! Leave a comment with your favorite design to enter. Please email me at Katheats at gmail dot com with your full name and email so I can pass them on to Lazy Day Cottage! All of those tags are delightful! I have to say the round little Chick-a-dee tag is one of my favorites…. Oh my gosh – these are so cute. I love the “Love” ones, and the ones with the fork, knife, and spoon. Precious. LOVE the mason (or mazen?) jar “love” tag! So cute and rustic. I love the reindeer design – perfect for homemade gifts! The wedding love ticket would be great for my wedding! Ah SO cute! Love the reindeer and Mason jar ones! I love the one with the fork, knife and spoon. Loving the little maple leaf that says “Thank You!” Simple way to attach a note to a thank-you gift without having a bulky card/envelope. I love all the various Christmas tags to use for my Christmas wrapping this year! The vintage ones ad the gingerbread ones are probably my favorites! i really like the “frosted cake” tags, those would be so cute for homemade gifts from the kitchen. I love the bird tags, so sweet. My favorite is the red “Be Jolly”. So festive! I love the nautical designs – they would be perfect for my beach wedding next year! I love the kitchen baking cooking tags. So fun! I love the Vintage Christmas ones and the favor boxes. So cute! I love the Reindeer and the starfish design. What a great concept!! LOVE the Mason Jar “love” one – so cute! I love the birdie ones! 🙂 So cute! I like the reindeer one with the red nose. Very creative! I love the mason jar tag. Wonderful vintage designs!!! I love the rustic ones! Love the Mason Jar! I am kind of obsessed with everything on Etysy so thanks for introducing me to another great shop! I love the fork and spoon!! So cute! I love the bird design. 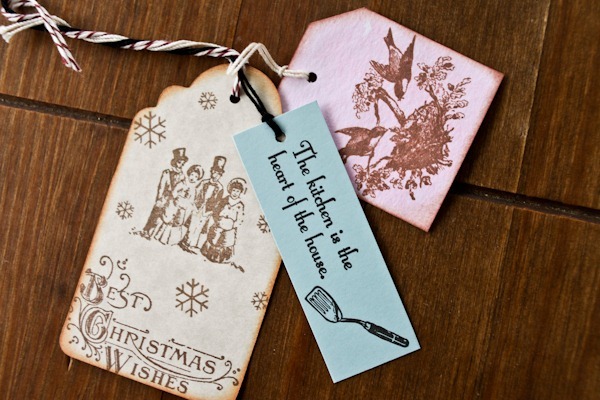 I love the vintage Christmas tags, they would make any package more beautiful! Those are so cute! I especially love the love the “love” mason jar one. And the vintage camera thank you tags. I love the silverware tag or any of the kitchen related tags since I like to give food related gifts. They are all so cute! I love the Dear Santa, Let it Snow and Rudolph tags! The vintage ones are great, look so classic to me. What beautiful tags!! I love the “Little Baker Chef Enjoy” tags to accompany the treats I give to friends and family during the holidays! I like the vintage ships wedding wish, but they are all adorable! I love the Rudolph tags, I think they are just sweet! i love the “About to Hatch” – so cute & I just found out my BFF is pregnant so she would love these. I love the be your best elf, so cute and clever, they are all super cute! I love anything beach-related, so the starfish is my favorite! Love the cowboy boot tag! I love the fork knife and spoon but they are all adorable. Love the Best Christmas Wishes! how quant and antique like!! I really like the “Noel” tags and the Christmas Postage tags. Love the mason jar and bird ones! Super cute! LOVE the reindeer, Mason jar is close second. So festive! These are so pretty! Much better than the normal sticky ones I use for Christmas presents. I think the Rudolph ones are my favorite! The Mad Hatter cupcake toppers in her shop are my favorite! The beach ones are my favorite – so pretty! 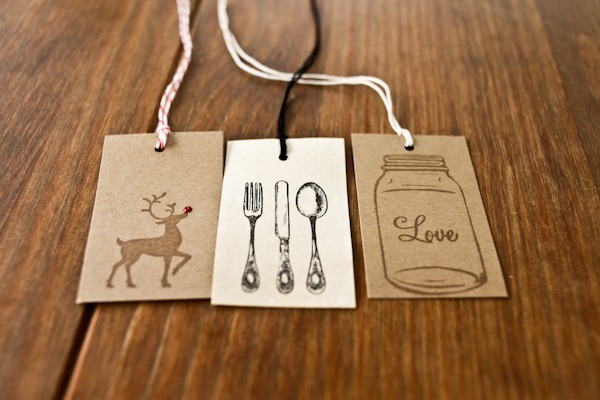 Gonna have to go with the Mason jar tag – too cute! I love anything beachy and love the starfish! Though, they’re all very cute, Rudolph wins by a nose! I love the mason jar or the knife/fork/spoon! Sooo cute!! The mason jar tags are my favorite! I also looooove the tea pot cupcake toppers on the website that say “Love is brewing.” Adorable! The cutlery set! I love giving food gifts…these are perfect! I loved anything peacock and that is the design that stood out for me! I also like the utensils as well, and the Mason jar! I like the reindeer ones the best (but they are all so cute!). 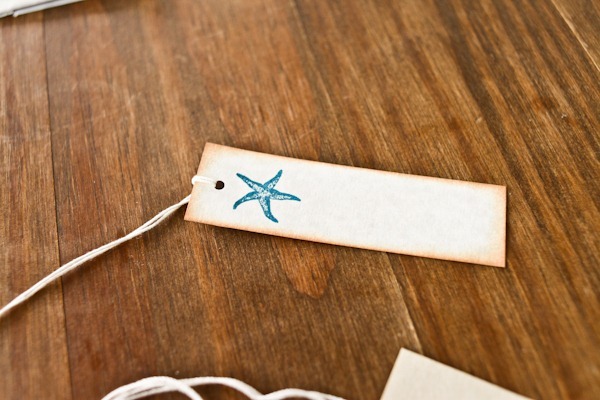 I love the nautical starfish and your right about it being perfect for a beach wedding, like mine in Mexico in June!! These are lovely. Dainty and vintage, how wonderful! My favorites are the foodie ones (the fork, spoon, and knife one especially!). …despite my love for these, I really don’t see how a gift tag giveaway fits with the BERF theme? I thought this blog was all about baby stuff. I’m confused. I’m giving baby gifts and these would make great baby shower tags. It’s a stretch, but this blog is for fun! I am so glad that you love my vintage tags! I agree they really don’t match with the theme but I really wanted Kath to be able to use the tags for her holiday gifts and home baked goods as she has been so gracious to host this giveaway. That’s why I tried to add some that had to to with food like the silverware and kitchen tags. I do carry a ton of baby shower tags and stickers. I also do a lot for kids birthday parties. If you are the winner of the gift certificates you can use them to purchase anything that you would like from my shop…right now I have over 1000 items. Thank you for your interest and I hope you win! I love the showers of love elephant design, and the mama owl and baby owl “parenting advice” tags — so cute! Wow! So many awesome designs to choose from. I like a lot of the vintage Christmas ones such as the ‘Christmas Wishes Postcard.’ Penguins and Reindeer are also very cute. I love the reindeer tag the most, but all are awesome!! I like the little birdie! I love the “be your best elf” Xmas tags, so cute!! I love the blue tags that say”it’s beginning to look a lot like Christmas”, so many cute designs! Love them! I love the bell jar that says love, but I also love the peacock feather. I love that they look vintage and not too cutesy! I like the peacock ones…that was our wedding theme…my last name was peter, his is babcock=peacock! I like the reindeer for holiday gifts! Also love the beach tag- I had a destination wedding in the Dominican Republic! I love the spatula design. I absolutely love the Christmas ones and their vintage-y vibe! Love the fork, spoon, and knife! I love the vintage Christmas tags. Perfect for gifts! I like the Love mason jar. 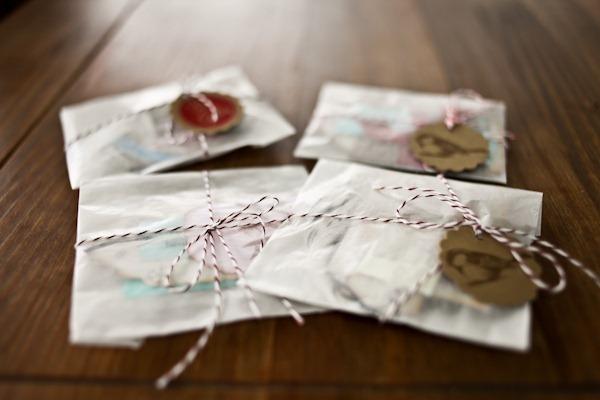 Making homemade food gifts to share this season…LOVE the “The kitchen is the heart of the house” tags-just perfect! I love the vintage camera tags! I love the fork & knife and rudolph! Thanks! I love all the vintage Looks, especially Rudolph! I love all the tags with scalloped edges! hm well ONE of my favs is the alice in wonderland “eat me”… would be perfect for all my holiday treats! Love the starfish one, reminds of my favorite place…the beach and my mom because she collects starfish. I really love the skaters, oh and the foot print cupcake toppers too! omg-I love the vintage Christmas ones-they would look great under my tree! Love the “Best Christmas Wishes” carolers!! Love the birdie design. Reminds me of the feathered friends I feed outside daily. Those are great. I’m making homemade gifts for Christmas and these would be perfect. It’s so difficult to choose a favorite, but the peacock feather really stood out to me. Love them all! LOVE the vintage camera thank-you tags! The Vintage Christmas ones are too cute to handle! I absolutely adore the wedding mason jar tags! They would fit perfectly with the ideas I have for my wedding in July!! I love Rudolph with his red nose! I really love the Hydrangea flower design tags, which could be used for so many different things. I absolutely love the Christmas Tags Wreath with Bird Set of 8… But the wedding tags (She Said Yes Wedding Ring Set of 6) would be perfect for October 2013 when I am getting married! The Rudolph one is so cute! I love the Rudolph tag, so cute for the holidays! The tags are fantastic! Mini cupcake wish tree tags. I love the bird themed tags, feathers, nests, etc… They are all beautiful! i love the little baker enjoy tags. since i bake allll the time and give away treats this would be perfect! they are all adorable though! 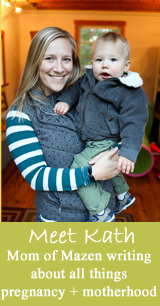 I love the baby shower tags; they would be great to use for my pregnant friends this spring! I love the ones with the birds! I love the starfish design! I’m getting married on the beach in March, so they would be perfect for that! I love the mason jar tags. So cute! I love the feather and star fish! I love the christmas tags with the reindeer! It can be so hard to find good tags at the store, I didn’t think of shopping on etsy for them! I love the red “Be Jolly” tags. They are really cute! So pretty, I love the maple leaf! I love the mason jar and the Christmas ones!! They are all so cute. The dollop of red glitter on the reindeer’s nose made me smile! I’m a sucker for glitter. I also loved the mason jar, and bird, ah who am I kidding?! I love them all! Thanks for the coupon code. I love the “Love” tags! They’d work for any occasion! Oh my gracious that little chick a dee is just precious! 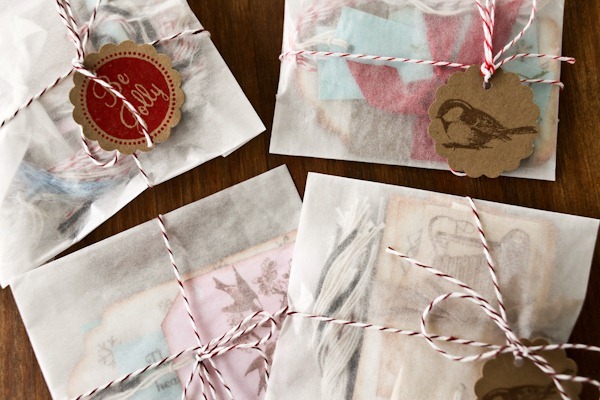 These gift tags would be the perfects addition to my eco friendly brown paper stamped wrapping this year! Thanks Kath for the give away! I love the one with the little sparrow! I love all of the Alice in Wonderland tags! I love the cutlery. These would be great all year round. I love the Rudolph tags – such a cute sparkly nose! love love the rudolph ones! Perfect for Christmas. The canning jar “Love” one is great! I love the mason jar with the word “love” on it. I also think the vintage Christmas ones are so classy. Thanks for the chance to win! My favorites are the Mason jar and Starfish! I love to give gifts of things I have baked or cooked so I am leaning towards the vintage forks and kitchen utensils. I loooove vintage Christmas, so all of those are gorgeous, but my favorite is Rudolph! Those are really beautiful. I love the mason jar with the “Love” inside. Love the stockings and naughty/nice! Love the starfish & the utensil tags! Super cute!! i love the reindeer tag! I love the Best Christmas Wishes tags! They’re all so cute! Though I would have to say that my favorite is Rudolph with his little red nose! Love the rudolph tags and the snowflake thank you ones. I love the aged look of the “Best Christmas Wishes” the best! They are all amazing, but I love the “Love” design. Thanks Kath & Lazy Day! I really like the one with the 2 monkeys on it. Love the Christmas ones with the ice skaters! Love the Christmas tags! Too cute! I love the kitchen and Christmas designs!!! The mason jar love one is adorable! TOO CUTE! I love the kitchen ones! I’m doing a lot of homemade gift this year, so they would be perfect! I love the vintage Christmas tags. Too cute! something about that simple reindeer that got to me 🙂 i love that design! Love the mason jar that say LOVE. These vintage tags are so cute!! I loooove thr mason jar and vintage Christmas ones! I really adore the love ones. I love the starfish one! We are having a beach wedding too and these would be great on the favours! I love the foodie ones and birds!!! Love the foodie ones and birds!!! these are so unique and vintage! i like the peacock feather! I love the Rudolph tag! I love the little bird tags! Not sure what a wish tag is, but it sounds cute! I also like the bird ones. I love the reindeer with the red nose! The ones with the fork/knife/spoon are adorable! I like the Naughty or Nice tags and Christmas snowflakes tags, too! Very neat etsy site!! Love the spoon, fork and knife tag! I love the utensil tag!! Love the love in mason jar! I love the Chistmas Wishes one – would be perfect on gifts! 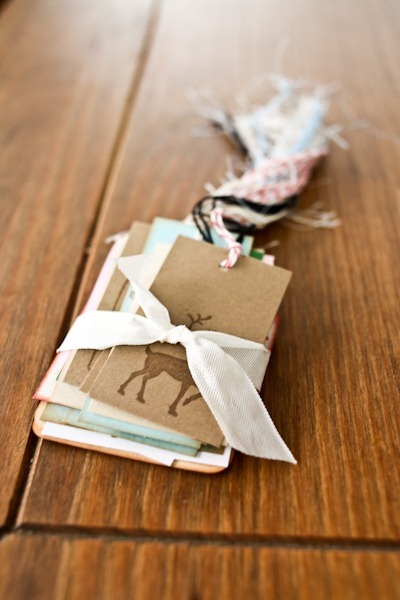 Love the reindeer tags for holiday gifts! I love the mason jars! Super cute!